Recently publicized secret audio recordings suggest that Georgia is afflicted by high-level corruption. The leaked tapes call into question the behavior of key tobacco industry players and implicate high-level government officials. While the authenticity of these tapes is yet to be verified, the evidence and the circumstances point to a likely corruption scheme. High-level government officials and the ruling Georgian Dream party appear to have benefited from the arrangement. What is more, the representatives of the judiciary have also allegedly played a part. Following this conversation, Ucha Mamatsashvili must have previously suggested that Omega Group and Tbilisi Tobacco create a joint distribution company. The conversation suggests that the terms and conditions of this deal were agreed with Bidzina Ivanishvili. The conversation also mentions “the fund”, also referred to as “the party”, which was to receive 50 percent of the said distribution company’s revenue. 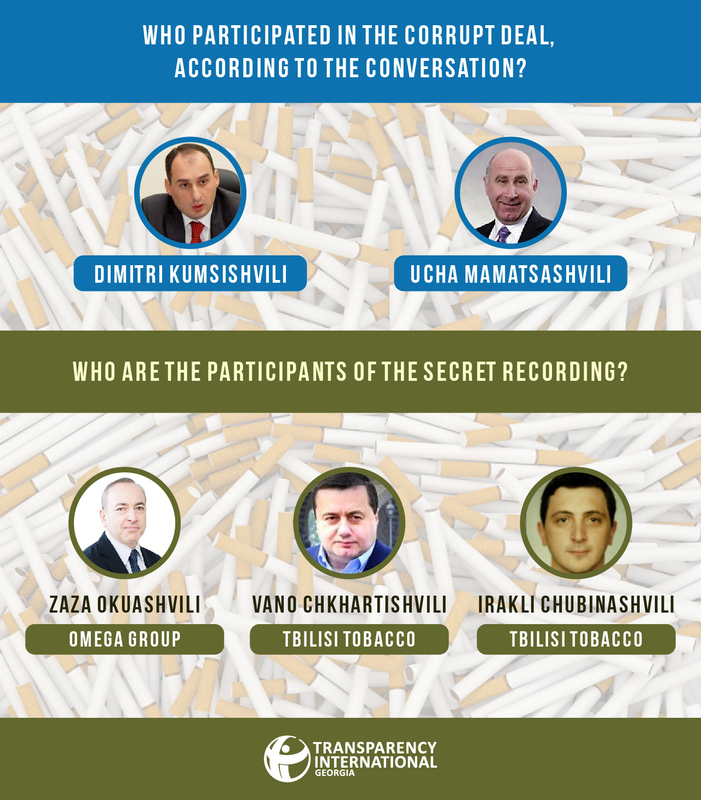 On September 24, another secretly recorded conversation was leaked to the media, which records Irakli Chubinishvili (Tbilisi Tobacco) discuss the apparently illegal funding scheme of “the party” with Zaza Okuashvili (Omega Group). According to the recording, foreign tobacco companies also donated to “the party”, and Tbilisi Tobacco made three contributions to “the party” in the pre-election period. Irakli Chubinishvili suggests that Omega Group follows suit and finance “the party” rather than try to sort it out with the government. According to the conversation, the sham fund for “the party” was orchestrated “the minister”, presumably, Dimitri Kumsishvili. A certain legal dispute is the subject of another recorded conversation. 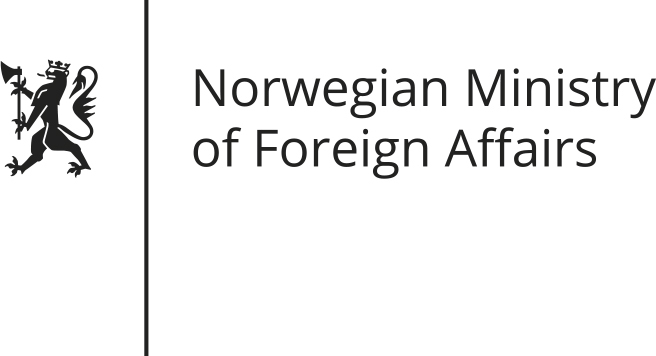 They are likely referring to Omega Group’s and Tbilisi Tobacco’s lawsuits against tobacco importer companies. Individuals participating in the conversation are most likely referring to the two lawsuits adjudicated by the first instance court. In their rulings, the judges instructed Philip Morris and British American Tobacco, multinational tobacco companies, to pay GEL 93 million and 270 million to Tbilisi Tobacco and Omega Group, respectively, in fines for inflicted damages. The feud between tobacco industry players first came to light in January 2016, when Philip Morris decided to fire Omega Group and hire a different company to distribute its goods. This decision was followed by interruptions in distribution, increased prices and a lawsuit initiated by Omega Group. The lawsuit concluded with a settlement between the disputing parties in April 2016. According to Transparency International Georgia’s confidential source, this event marks the beginning of Dimitri Kumsishvili’s apparent illegal involvement with the case, as he reportedly insisted that Philip Morris continued to do business with Omega Group. The Court did not take into consideration, nor attach to its ruling the opinion of the Competition Agency, which found Philip Morris to be in no violation of the Law of Georgia on Competition. This assessment was initially published on the Agency’s website, only to be arbitrarily deleted at a later time. The Court found Philip Morris guilty of price dumping, even if Georgian legislation does not regulate such pricing policies. Court did not explain why the Law of Georgia on Tobacco Control was applied to the dispute between private parties, given that only the state is authorized to sanction tobacco producers in the cases of violation of this specific law. The court instructed Philip Morris to compensate Tbilisi Tobacco for inflicted and possible damages for over next 10 years. From another leak published on September 21, we learned that Omega Group was meant to gift expensive cars to Dimitri Kumsishvili and Nodar Khaduri, who was appointed as Minister of Finance in 2012 and as Head of Competition Agency in 2016. It was under Khaduri’s chairmanship that the Competition Agency published and deleted from the website its assessment, which found no violation of competition legislation and which Philip Morris had presented during their dispute with Omega Group in court. Following public outcry, including from international community, Tbilisi Appellate Court made a complete turnaround and annulled the fine of GEL 93 million imposed on Philip Morris. Tbilisi Tobacco took the case to the Supreme Court but decided to withdraw the request, even though GEL 8 000 in administrative fees had already been paid. The publicly available evidence points to secret deals between tobacco industry players, representatives of various government institutions and influential individuals affiliated with leaders of the ruling party. Government officials allegedly abused their power in order to put the said companies in a dominant position on the market. Generated revenues were allocated between companies and the group affiliated with the ruling party. These leaked audio recordings further strengthen Transparency International Georgia’s hypothesis on influence peddling in the case of Philip Morris and Tbilisi Tobacco. Recordings suggest that, in this corrupt scheme, the judiciary was yet another instrument in the hands of influential individuals. In fact, Transparency International Georgia recently studied corruption risks in Georgia’s judiciary. We found that corruption in the judiciary is enabled by undue influence by a group of dominant judges and insufficient anti-corruption and integrity safeguards. Should these leaked recordings prove to be authentic and the above-listed allegations to be true, major corruption crime involving high-level government officials and representatives of various state bodies. This is an important test: How government reacts to the emerged evidence and pursues the investigation will demonstrate the extent to which the Georgian government has the political will to tackle high-level corruption.